It is recommended to put the main image below the bio info in your profile? I am not an expert in interface design (just if you think my question is bad). 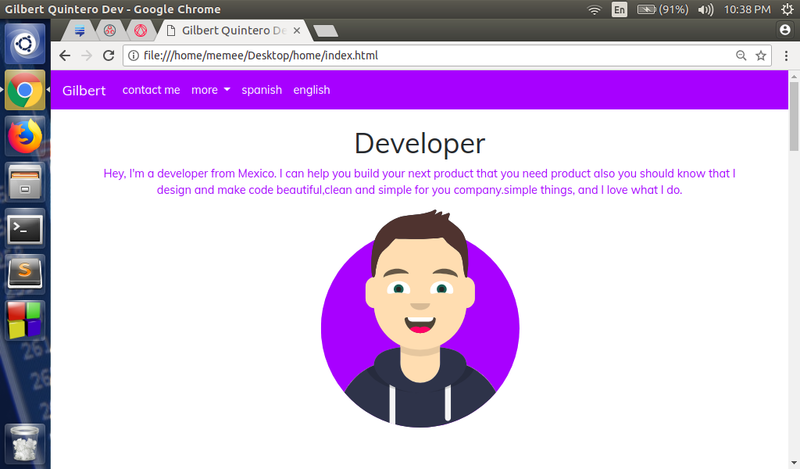 I am designing my own web site where I share my work and add some info about myself. On the main page: it is recommended to put the image below the main text? Where should I put the image? I wish I create an elegant and professional design but I am not an expert in interface design. Am I trying to annoy the user abruptly with the main icon? When seeing a shape in a plane, the human eye tends to look for a support, an element where that figure is supported. If we analyze those figures with respect to that virtual support, each of them has a different stability. A horizontal rectangle is a very stable figure because one of its sides represents that support being greater than its own height. Unlike the rhombus and the inverted triangle whose support is a point on which all the weight of the shape falls and makes it swing from one side to the other. The circle is the only one shape that moves infinitely, sideways or turning on itself. This movement gives it its own instability, and makes it one of its main characteristics. 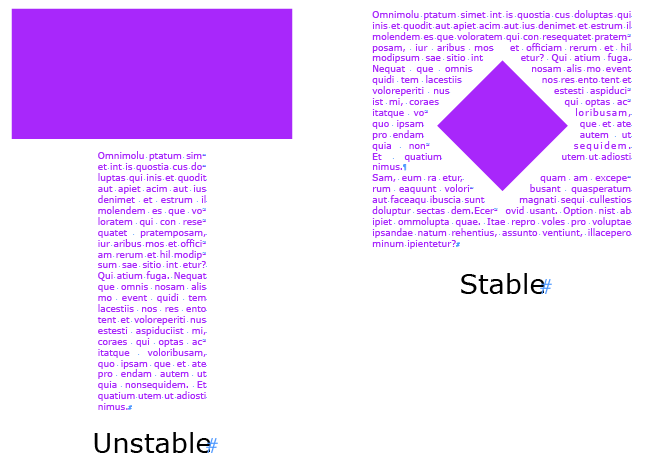 From there, the designer can create from these stability guidelines. It does not mean that this good or bad, they are just design decisions. Decisions that can modify the shape weight. For example, being the inverted triangle the most unstable figure, having an upper element that rests on one of its sides, it takes strength from its support and its presence in space becomes much more important. The arrow shape and its directionality becomes more relevant than the triangle itself. The circle is always in motion and the eye tends to create a support. Except for its size, the smaller the circle, the greater the importance of space and less the sensation of seeking for a support. Having this as information, the designer can generate their own perceptual guidelines. 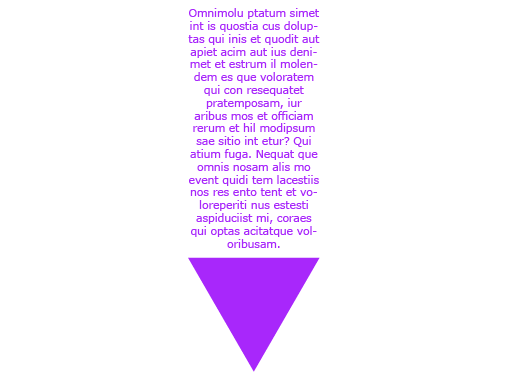 A text box under a circle may have more or less instability, depending on its width the circle will have more or less space to move. Which one of all the options is the one that best fits your design? More unstable to call more attention? How to avoid the tragic fate in the Oatmeal cartoon “How a web design goes straight to hell”? Critique: Can you provide constructive feedback for my monochrome website design? What hapen with this icon? What is the best Icon to use for an item's state of: “I need to borrow” and “I already have it”?